The purchase and conversion of infamous Lincoln Centre condos in Lincoln Park is no small story. It is rare to see a whole condo association sell out in a prime location then to be converted to luxury apartments... whoa. 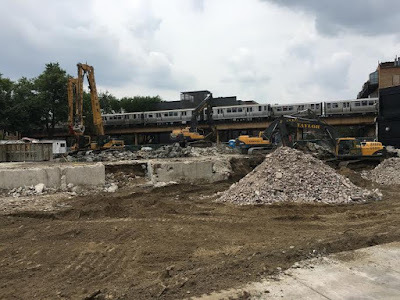 Brown Line riders no longer have views of the "party courts" over the previous parking garage. The structure has been completely cleared away. 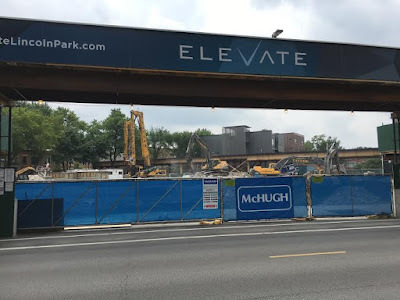 Another example of the amazing pace of re-development all over the North Side. 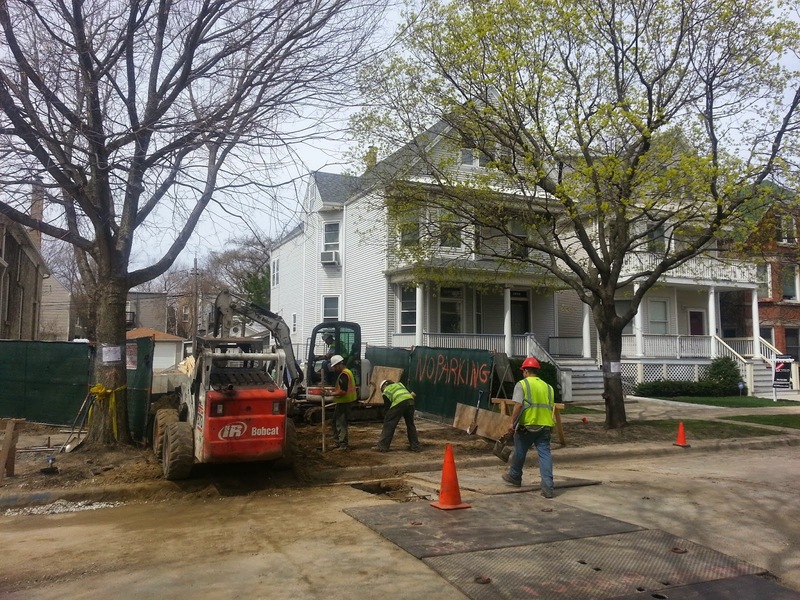 Expect delays around this section of 2500 block of North Lincoln for the next year. 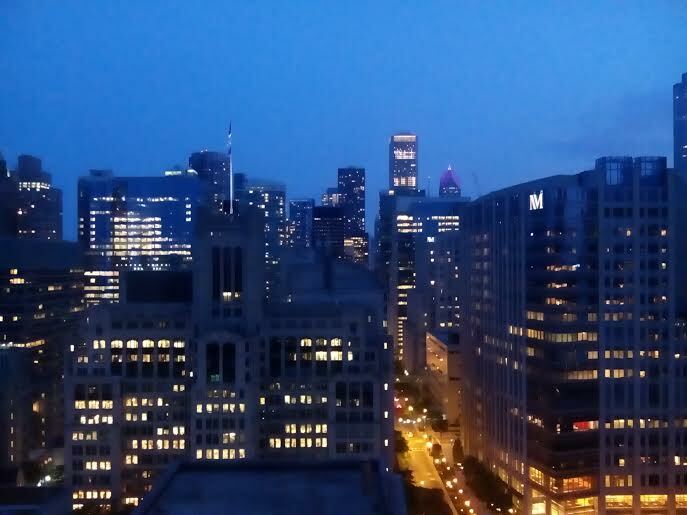 We enjoyed a roof deck event Wednesday night with a homeowner at 247 East Chestnut in the Streeterville neighborhood. 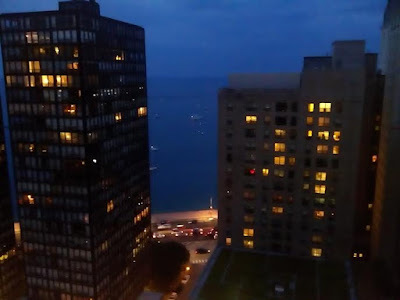 Located at Chestnut and Dewitt behind Water Tower Place the boutique high rise affords fantastic city views of the John Hancock Center and even the lake. 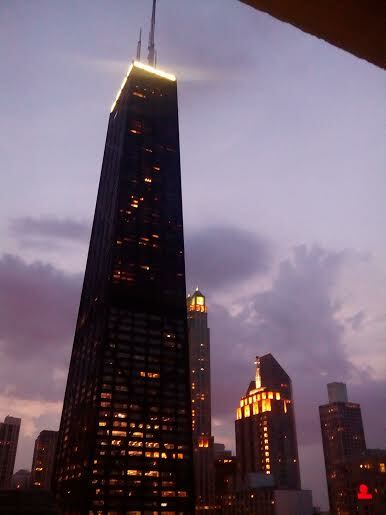 We didn't get the best photos last night but the roof deck atmosphere on a hot summer night is spectacular. Seven units have sold over the last 12 months. A couple three bedrooms units have sold for $410,000 and $415,000 at the top end with assessments ranging from $1,300 to $1,800 a month. The assessment includes heat, Internet and a new fitness area. Parking is available in the building for $185.00 / month... not bad for the prime location. Pets OK! The least expensive unit to sell in the last 12 months is Unit 1904 for $175,000 ($685.00 assessment). 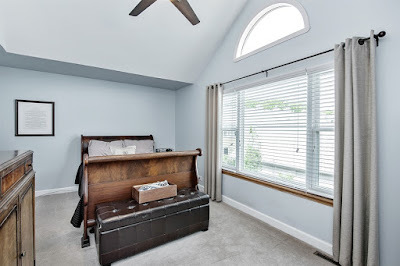 The one bedroom corner unit needing "full remodel". Streeterville is a fantastic location for down town workers and for residents who want to take in the cities major cultural events. 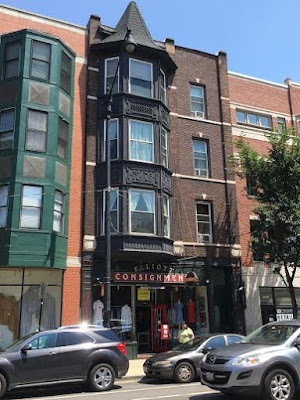 A quick plug for one of our favorite Lincoln Park institutions Elliott Consignment. We like to buy and sell and it's no different with used goods. The mom and pop store is one of the remaining retail shops that has made North Lincoln Avenue interesting for 20 years now. My business partner Bob has particularly enjoyed the store and owners for many years. Elliott sells a lot of luxury brand goods. It helps to have high-end condo buyers nearby. A three bedrooms, two baths condo about 1800 sq/ft at 2457 N Lincoln Ave Unit 2, Chicago, 60614 recently sold for $515,000. 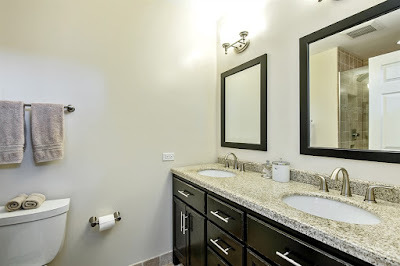 Another three bedrooms, two baths unit about 2000 sq/ft at 2461 N Lincoln Ave Unit 2S, Chicago, Illinois 60614 sold for $581,000 last year. We help clients buy and sell in Lincoln Park, nearby North Side and near suburb neighborhoods. We're on the streets everyday and will help you find a great location. I snapped this shot quickly while doing some shopping along North Clark Street in Andersonville. I really like the color tint that gives it that 1970s look (no filter). 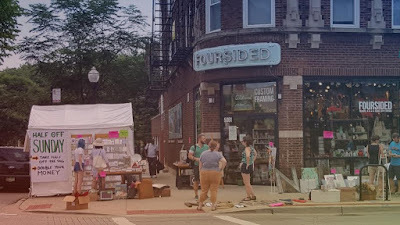 The street sale vibe and locally owned shop represents a typical Andersonville scene (minus the cocktails). 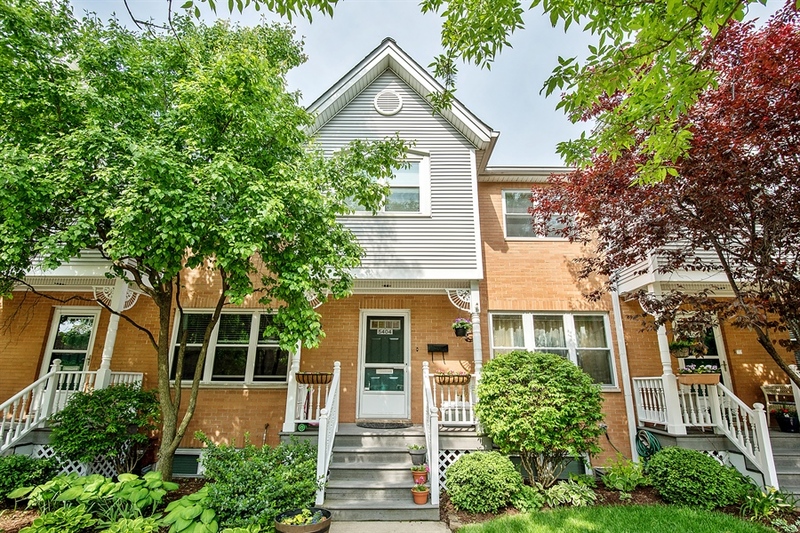 Terrific value for tons of well finished space in a red hot Lincoln Square location. This home lives like a single family house with amazing options for guest rooms, home office, "man cave" and more! Just a couple blocks from the CTA Brown Line Damen stop, Ravenswood Metra Stop and bustling new retail, shops and bars pop up every month. Sophisticated duplex home in Lincoln Square. 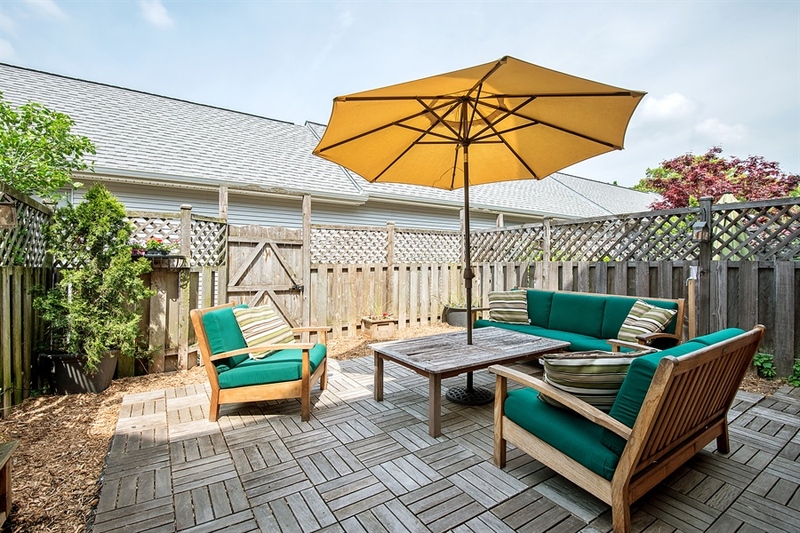 Three beds, three full baths with garage parking included. Flexible floor-plan offers entry foyer and coat closet, family room, separate office, central AC/Heat and mudroom with main floor laundry! 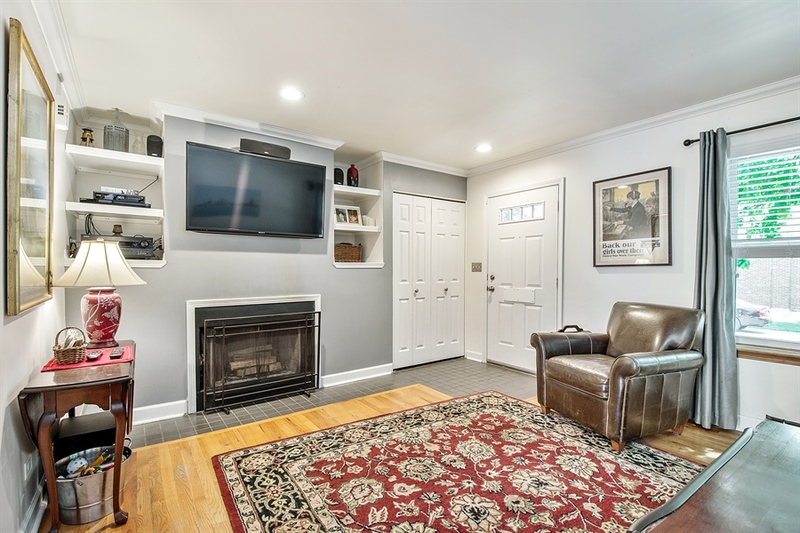 The classic living room features crown molding, decorative brick fireplace and mantel. 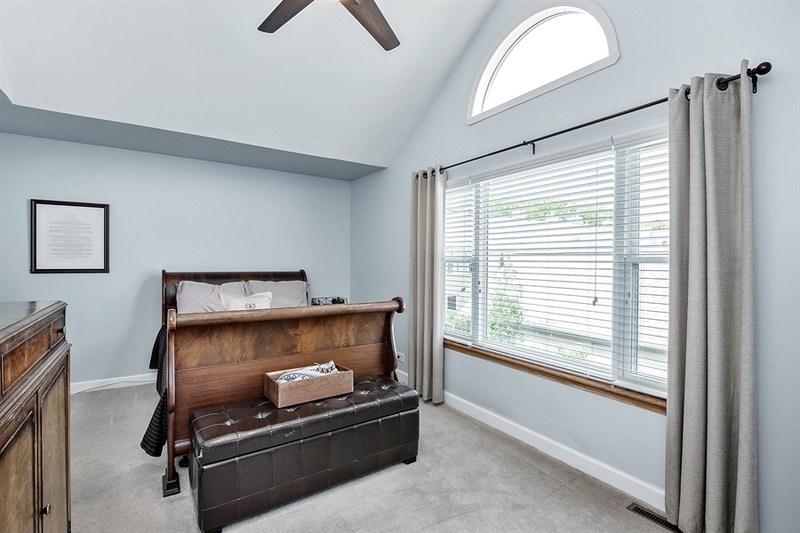 Two bedrooms up including rare *en suite* guest bedroom (2nd master bedroom w/full bath) and a full guest near the third bedroom. Large renovated kit overlooks dining area for ample entertaining space. Rear entry with mud room feels like a house! 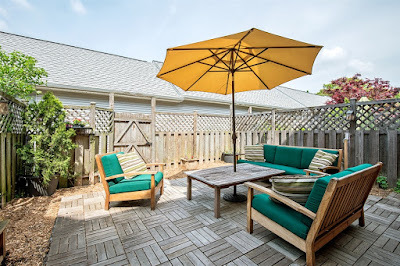 The brand new gorgeous patio and backyard is just off the kitchen. Lower level features spacious family room, separate office/ craft room and very private master bedroom retreat. 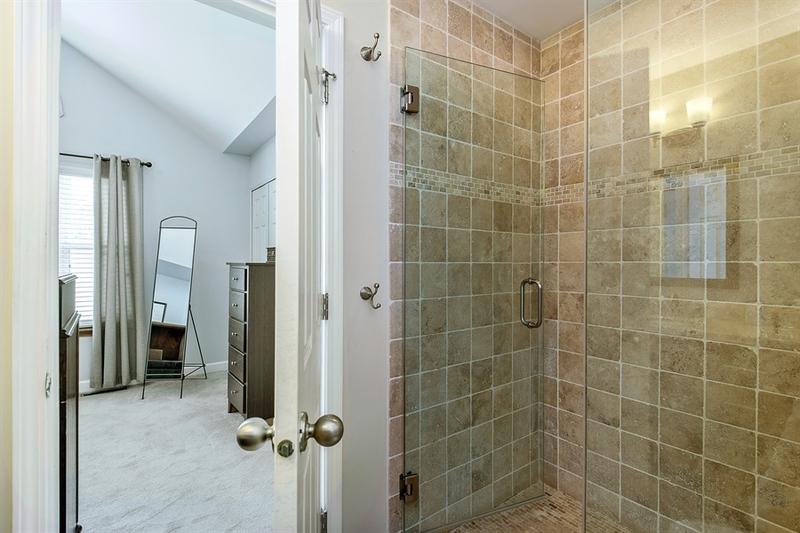 Enjoy enormous walk-in closet and spa bath w/ dual vanity, luxury separate shower and tub. You will love this home! The immediate area of Damen and Lawrence has seen amazing growth in the past 5 years with the best to come! 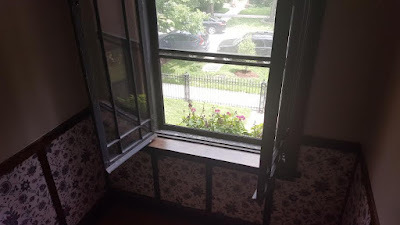 Steps to Metra, Brown Line, Bang Bang Pie, Over Easy, Ampersand, Roots, The Sixth, Mariano's, LA Fitness and all of Lincoln Square, Andersonville and Winnemac Park fun! Well run and pet friendly building. One of our latest Bowmanville town house listings closed for the near all time record price of $425,000! Smart updates, diligent listing preparation and attractive pricing at $399,900 forced a multiple offers and landed a super solid buyer. We love to help you buy and sell Bowmnaville, Lincoln Square and North Side properties. Contact us today! 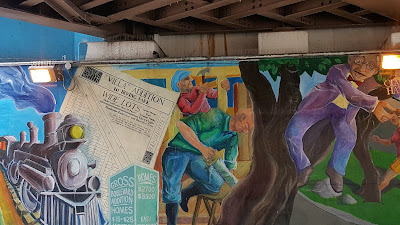 A unique mural on North Pulaski just south of Irving Park Road calls us to the "Country". I only recently took notice of the mural at the 90/94 underpass in the Irving Park neighborhood despite driving this way quite a bit. 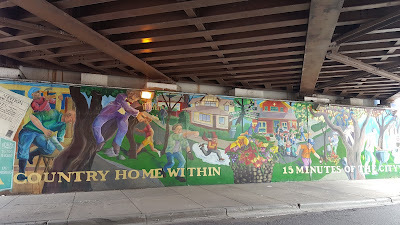 I *believe* it was painted in 2012. Any info on this feel free to email me direct. The Irving Park/ Old Irving Park neighborhood and the group Old Irving Park Association have been involved in many neighborhood murals. Really, really cool. New Lincoln Park Target open and on point! We stopped in the newly opened Lincoln Park Target at 2650 N Clark Street, Chicago IL 60614 this week between showings. 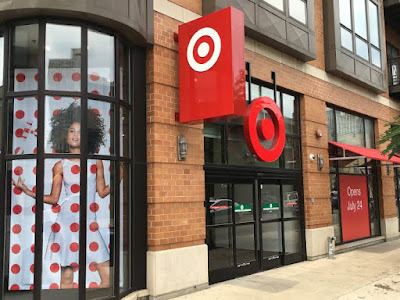 The store replaces the Best Buy This Target certainly is catering to its constituency! 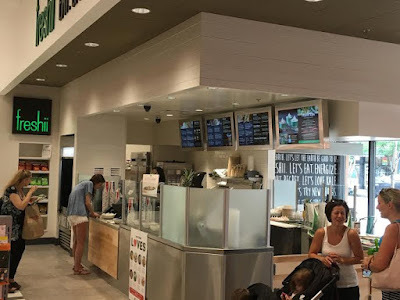 Wow, a freshii cafe! Soooo much better than a Pizza Hut at our closest store. Good looking Starbuck's counter. I've gone into withdrawal in stores without a coffee shop. 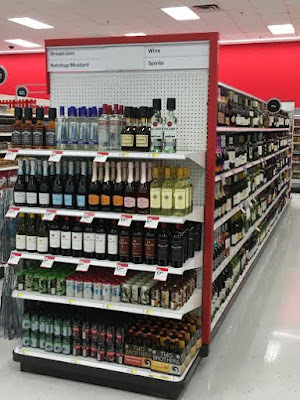 Now back to the important stuff... wine, beer and liquor selection! Check out some recent house and condo prices near the store in our last post. and meet my new co-star! 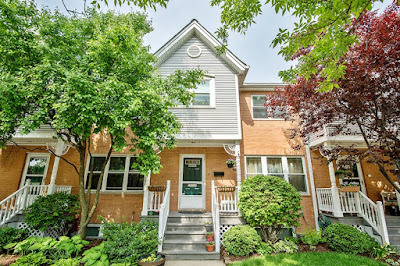 Terrific value for tons of well finished space in a red hot Lincoln Square location. This home lives like a single family house with amazing options for guest rooms, home office, "man cave" and more! 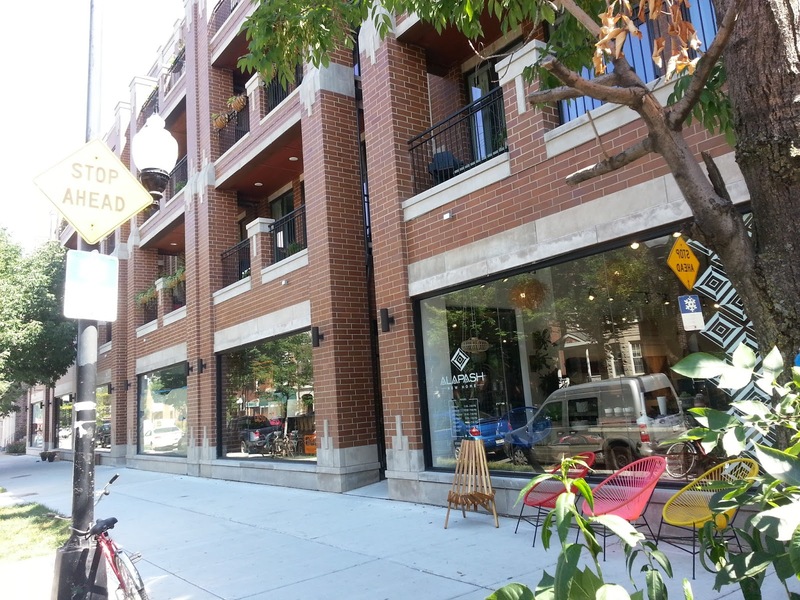 Just a couple blocks from the CTA Brown Line stop, Metra Stop and bustling new retail, shops and bars pop up every month. A "tear down" in Lincoln Square's Bowmanville neighborhood. Many neighbors share with me they are still surprised by how many homes (including some decent properties) are torn down to build new. I posted yesterday that a 40'x125' vacant lot in North Center's Bell School district sold for $900,000. This prompted a friend on Facebook to ask "What's an average Lincoln Square lot go for?" 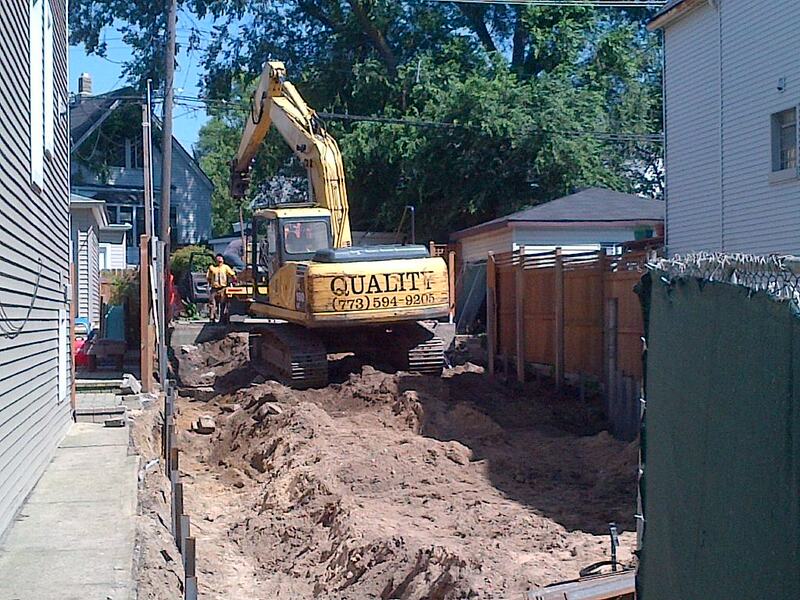 Let's take a look at some recent residential vacant lot and "tear down" sales to get a feel. 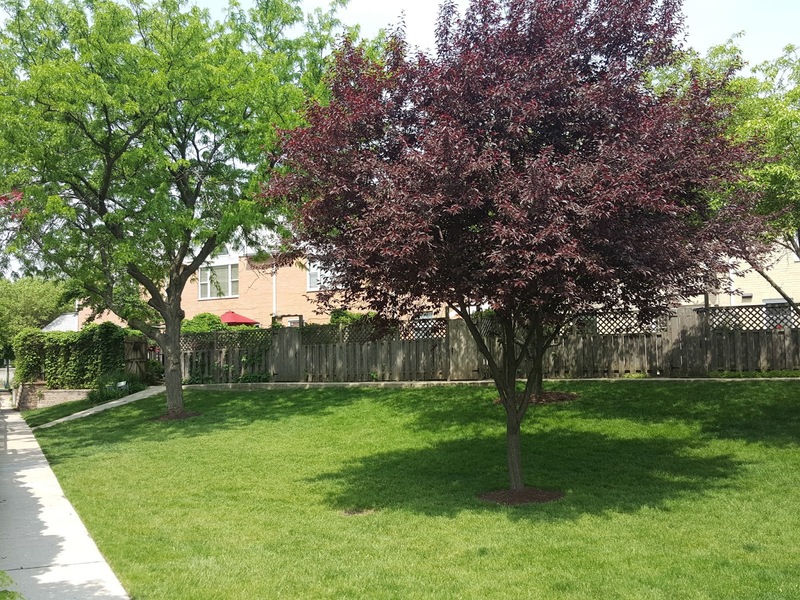 A standard residential lot in Chicago is 25'x125'. The average standard residential lot sold for development in Lincoln Square (all things being equal) goes for about $400,000. Standard lot new construction homes in Lincoln Square sell for about $1,200,000 give or take . The most desirable areas in Lincoln Square will get a bit more than $400K while some areas further out of the center get less money. 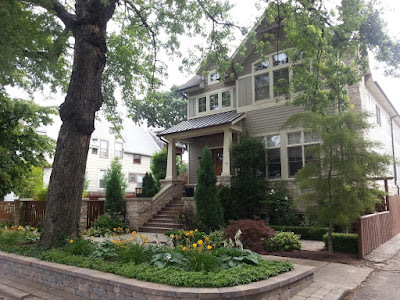 30 foot plus wide lots in Lincoln Square receive considerably more money. For example 4957 N Hoyne Ave, Chicago, Illinois 60625 sold for $419,000. 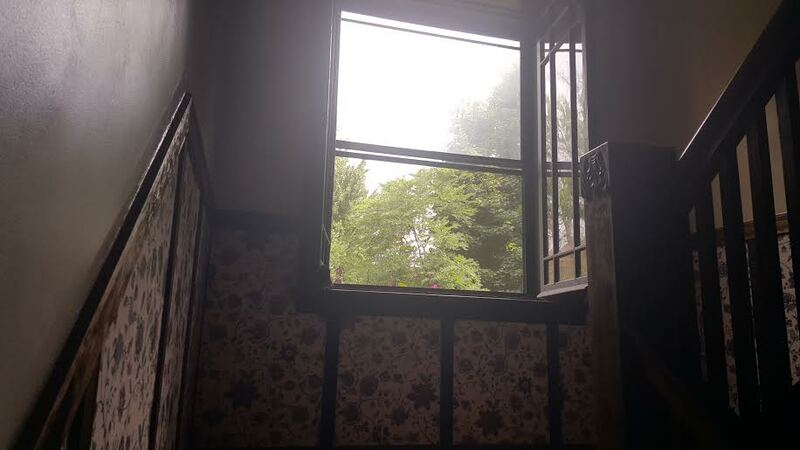 It's a standard 25'x125' lot two doors down from Winnemac Park and fairly close to lots of local retail and transportation options. A frame two-flat was torn down to build a new single family home (now almost completed). A little north in the neighborhood 5149 N Oakley (a standard 25'x125' lot on an alley near West Foster Avenue) was sold for development at $396,875. No actual residential vacant lots were sold (closed) on the MLS in the past 12 months. However I'm familiar with a few vacant side-lots that owners sold in the last 12 months "off MLS". 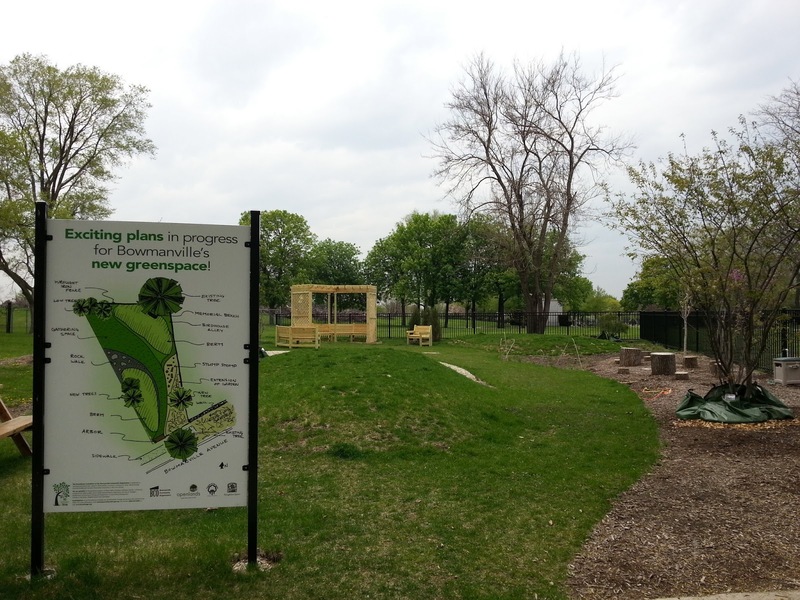 There are very few vacant residential lots in around Lincoln Square. In the past 12 months only three residential lots were listed in the "land category" and all three listings had an existing structure on the property. These properties were listed be bought for tear-down and new construction. 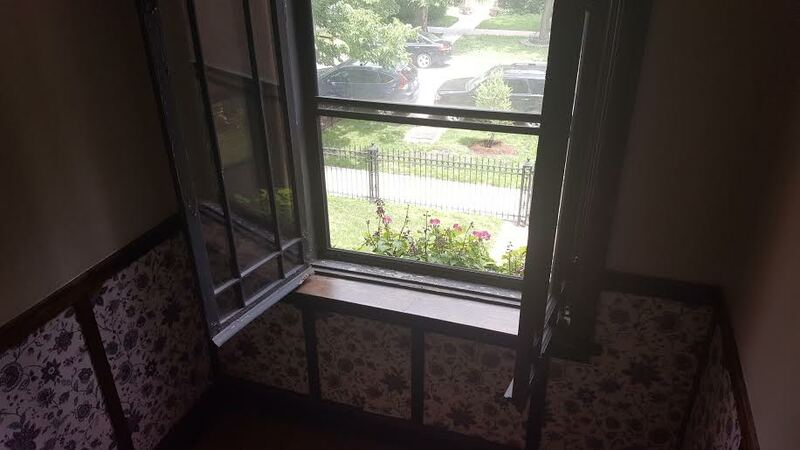 2533 West Winona St, Chicago, Illinois 60625 sold on a short 25'x125' lot sold for $260,000. 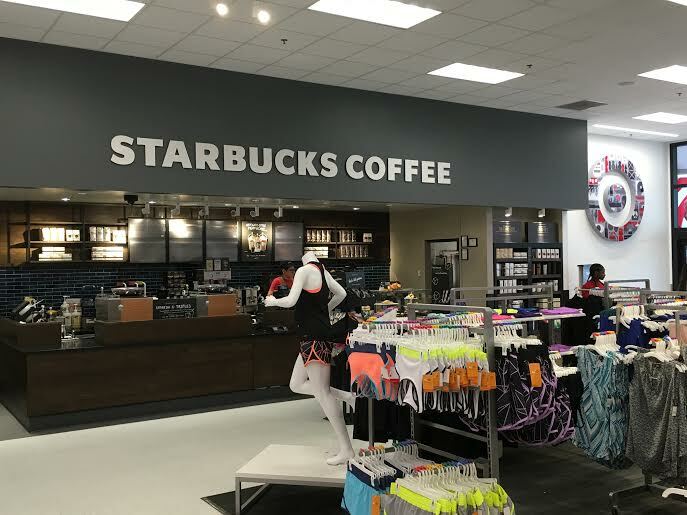 This western Lincoln Square location is a bargain compared to getting just east of Western Avenue. 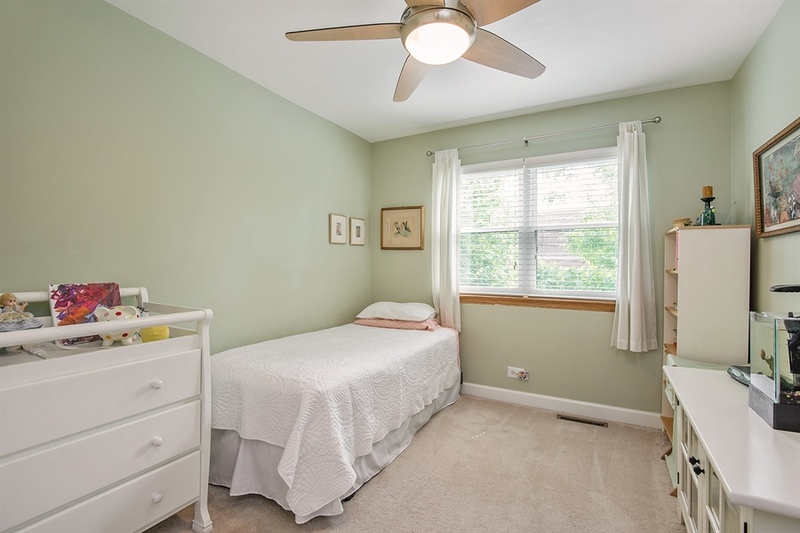 2117 West Eastwood Ave, Chicago, Illinois 60625 on a coveted 37'x 122' lot sold for $675,000. 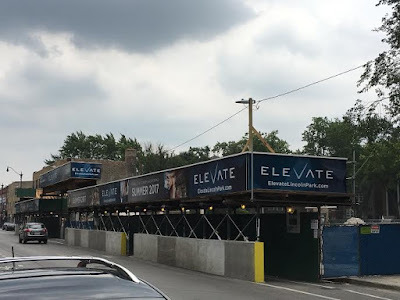 The property bought for development is in the most desirable area of Lincoln Square near The Lycee Francais de Chicago and steps from the retail center. A luxury new build on the lot may catch up to $2.1 million depending on finish level. 2027 West Giddings St, Chicago, Illinois 60625 also a 37'x122' lot on a top block near the heart of Lincoln Square retail sold for $680,000. This was also purchased by a developer to build a new house. 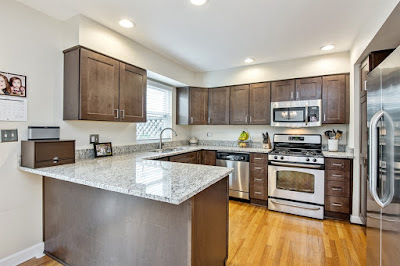 Probably the highest price tear-down sale in Lincoln Square in the last 12 months (and one of the more saddening) was 2136 W Agatite Ave, Chicago, Illinois 60625 for $742,500. The attractive frame home on a 37'x122' lot had that quintessential neighborly appeal on a primo block steps from Welles Park. It has since been torn down for a new build house. Contact us to buy and sell properties in Lincoln Square, North Side and near Chicagoland suburbs both on and off the MLS. Make it your next home, investment or development. North Center single family home sales 2016... hold on to your wallet! 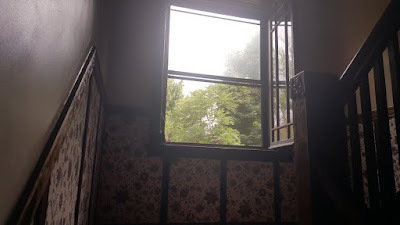 I took a photo of this house a few years ago near Welles Park in North Center. 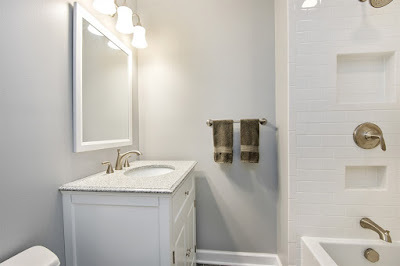 It's typical of newer construction homes in this increasingly high-end community. North Center continues to be one of the most active single family home markets in terms of sales, strong re-sale prices and new construction houses. Here's some fun facts from January 1st to about July 8th, 2016 of this year. 120 North Center single family homes have closed from January 1st to July 8th, 2016. The median price of a home in the neighborhood is about $1,092,500. Many homes up to the $750,000 price point (and occasionally more) are bought to tear down or gut renovate and expand. 115 homes sold over the same period in 2015 with a median about $1.1 million. Very steady sales and prices year to year. The highest North Center home sale price on the MLS this year is 1851 W Fletcher St , Chicago, Illinois 60657 for $2,500,000. This house on a 75' wide lot has been a particular favorite of mine due to the "tucked away" feel to the location and it's side yard with sport court. 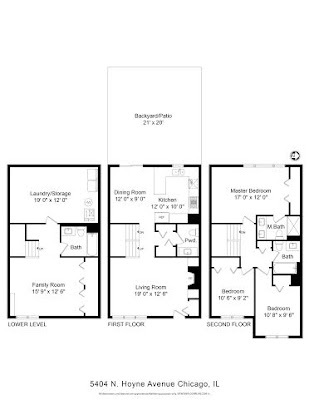 The lowest single family home sale is in the Picardy Place development at 1800 West Diversey Unit F for $433,000. These small houses with attached garages are great condo/ town house alternatives. 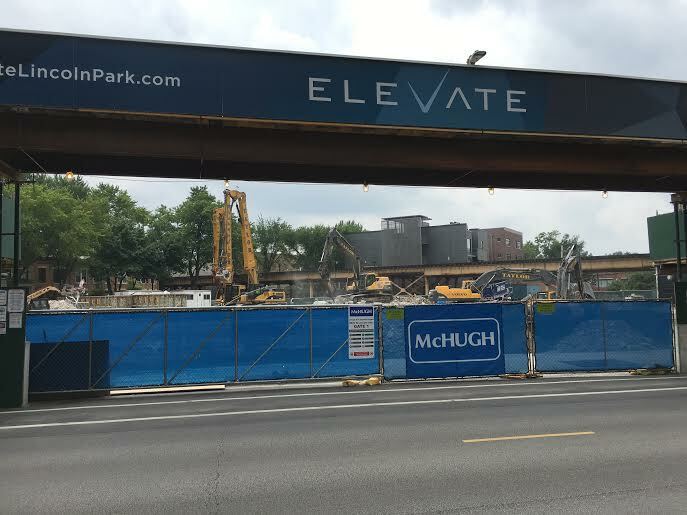 North Center has witnessed a new house construction boom for years. Vacant lot and tear down sales in the neighborhood are quite the story. 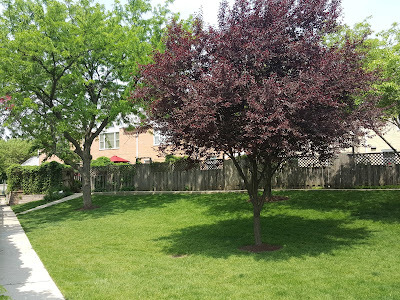 The highest price sale for a vacant single lot sale in North Center this year (recorded on MLS) is $900,000 for 3901 N Leavitt St, Chicago, Illinois 60618. The corner lot measured 40 ft wide by 124 ft long and is located in Bell School district. A "tear down" frame house 31'x125' lot at 2033 West Fletcher in Jahn School district caught $615,000. The range for tear down lots vary greatly by size, location and school district boundaries. Standard 25'x125' lots (less desirable for new construction) have caught over $500K for a tear down house. The least expensive vacant residential lot sale is 2029 West George $241,000. 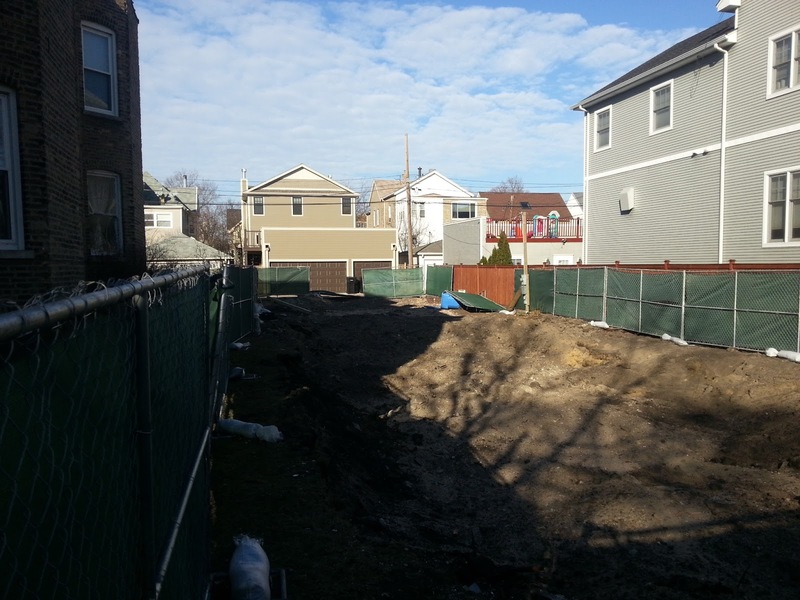 The irregular shaped lot (triangular lot) near North Clybourn is in a growing section of North Center. I currently have the least expensive vacant residential lot listing for sale in North Center and Coonley School. 1801 West Cuyler offered at $199,900 has plans drawn for a modern home situated on the 17.5' x 124' lot near the CTA Brown Line at Irving Park. 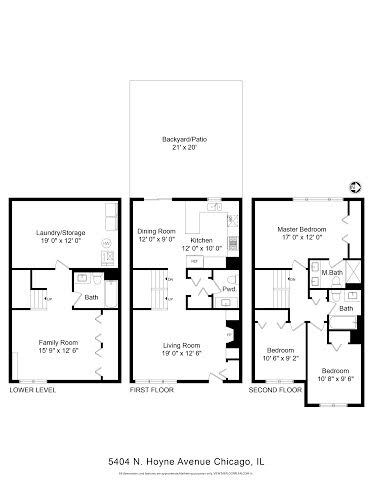 It's a unique lot size but the free standing house floor-plan would mimic the width of row house or town home. Watch the video. Contact me to buy and sell North Center and Chicagoland homes both on and off the MLS. 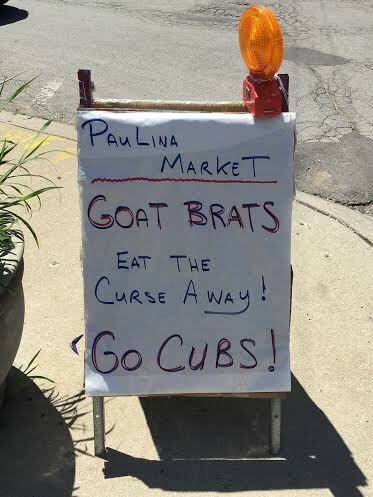 Seen in Lake View: Calm down people... Go Cubs!